The crack cocaine high typically lasts only about 5-10 minutes, leading many users to binge and take several repeated doses in a short period of time to maintain the high.2 This pattern of frequent, repeated use can quickly lead to tolerance, which occurs when a person needs increasing amounts of a drug to achieve the desired effects. Chronic crack cocaine abuse with ever-increasing doses can lead to the development of significant physical dependence, which means that the body requires the presence of the substance to function normally. When someone who is dependent on crack cocaine suddenly stops using, unwanted withdrawal symptoms are likely to emerge. Users often will use crack cocaine to alleviate crack withdrawal symptoms, a cycle which can eventually lead to addiction. Addiction is a complex and progressive condition in which the user continues to abuse crack despite severe impairment in life functioning. Crack cocaine is a particularly addictive drug. Once you have developed an addiction, it can be challenging to quit on your own due to cravings, relapse triggers, and distressing detox symptoms. Participating in a professional crack cocaine detox program can help users manage withdrawal symptoms and successfully transition into a comprehensive addiction treatment program. People abuse crack cocaine for the euphoric high, increased energy and confidence, improved concentration, and a decreased need for sleep; however, cocaine also produces many unwanted side effects, some of which can be dangerous. Elevated heart rate, body temperature, and blood pressure. Psychomotor agitation (repetitive, purposeless movements). Psychomotor retardation (slowed movement and thought). Erratic, bizarre, or violent behavior, when taken in large doses. Some of the immediate effects of crack cocaine use are life-threatening or can lead to fatal consequences. If someone experiences a seizure, call 911 immediately, as this is a medical emergency. Remain with the person until medical personnel arrive. The longer a person uses cocaine, the higher the risk is of becoming addicted or experiencing other negative consequences. Chronic use of crack cocaine can lead to many medical complications and psychological issues. Cocaine use has been linked to many types of heart disease as well as other adverse outcomes. Movement disorders, such as Parkinson’s disease. Respiratory problems, such as bronchitis and pneumonitis, due to smoking. Accidents or injuries from erratic behavior. Risky behavior, such as prostitution, theft, and other illegal activities. Increased risk of heart attack and stroke. Increased risk of sudden death due to cardiac or respiratory arrest. Crack cocaine addiction doesn’t have to lead to severe and debilitating physical and mental health effects. It’s never too late to find a detox or substance abuse treatment program that fits your individual needs. These programs can help you begin on the road to recovery, and ultimately, a happier and healthier life. How Do I Know If I’m Addicted? The Diagnostic and Statistical Manual of Mental Disorders, 5th Edition (DSM-5) no longer uses the term substance dependence, but instead refers to addiction as substance use disorders. Substance use disorders occur when substance abuse causes notable impairment and distress in a person’s life.3 It can sometimes be difficult to discern whether you or a loved one is afflicted by a crack cocaine addiction, but there are many signs and symptoms that can indicate drug use has become problematic. Experiencing withdrawal symptoms when use is abruptly stopped or lessened. Developing a tolerance to crack cocaine. Exhibiting a difficulty in controlling use. Using larger amounts of crack cocaine than originally intended. Continuing use despite impairment in one’s personal and professional life. Using crack cocaine in hazardous situations, such as while driving. Spending a significant amount of time and/or money to acquire crack cocaine. Neglecting hygiene and physical appearance. Failing to fulfill personal and professional responsibilities. Displaying changes in appetite and sleep patterns. 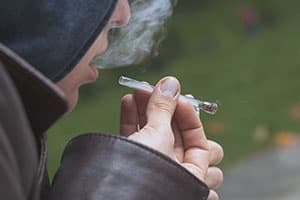 If you or someone you love has exhibited 2 or more of the signs and symptoms listed above within the past year, a substance use disorder may have already developed—professional crack cocaine detox may be an appropriate option to explore. Powerful cravings for crack cocaine. Your length of crack use. The amount of crack used. The frequency of crack use. Your overall physical and mental health. Whether you use other substances. Evaluation: Detox begins with a comprehensive assessment of your current psychological, medical, and social condition. You will be screened for co-occurring mental and physical health conditions. The severity of addiction will be assessed and your blood will be tested for substances of abuse. Stabilization: The stabilization phase is what most people imagine when they think of professional detox. During this phase, medical support personnel provide you with psychosocial support and medical intervention, if necessary, to assist you as you progress through the crack cocaine withdrawal period and become substance-free. 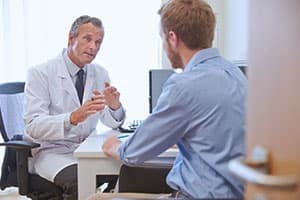 Fostering the patient’s entry into treatment: The last phase is vital as it helps prepare you for the transition into a professional addiction treatment program. It is important to remember that crack cocaine detox is only the first step on the continuum of addiction treatment care. Detox center staff will stress the importance of following up with comprehensive substance abuse treatment in order to address the underlying issues that led to crack cocaine addiction in the first place. Crack abuse treatment will help you to sustain sobriety and prevent relapse in the long run. Inpatient detox center: Inpatient detox centers provide care and supervision 24/7 until a person completes detoxification and is substance-free. This is a suitable option for those with severe addictions who may have trouble resisting cravings and coping with withdrawal symptoms outside of the treatment environment. Outpatient detox center: Outpatient detox centers provide detox treatment on an outpatient basis while the patient continues to reside at home. This provides people with the freedom to still attend work or school while detoxing from crack cocaine. Hospital: Detoxification may necessitate a brief stay in the hospital since people experiencing acute cocaine intoxication or overdose may first present to the emergency room and later be admitted to either an intensive or critical care unit for continued observation and treatment. Physician’s office: Some people choose to detox on an outpatient basis with regular visits to their physician’s office. It’s important to make sure that the doctor has proper training in how to detox from crack. This option may be appropriate for those with mild addictions who do not have difficulty controlling cravings. Regardless of which type of detox treatment you choose, it’s vital that you take the first step on the road to recovery and seek professional detox services. Once you have completed your detox and your body is free of crack cocaine and any other substances of abuse, your detox treatment team will work individually with you to create a treatment plan so that you can successfully transition into a comprehensive addiction treatment program that is right for your needs. 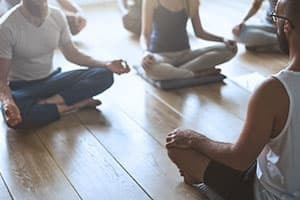 There are many different types of post-detox addiction treatment programs that help patients learn coping skills to deal with stress, cravings, and triggers, as well as relapse prevention skills to help maintain sobriety over time. Inpatient rehab: Inpatient rehab consists of 24/7 care in a residential facility for a specific amount of time (ranging on average from 30-90 days). Inpatient treatment typically includes a combination of individual and group counseling, support groups, and medical care for any co-occurring physical conditions. Outpatient rehab: Outpatient rehab consists of similar treatment modalities as inpatient treatment centers except that care takes place on a part-time basis while the patient continues to reside at home and may remain active in personal and professional duties outside the treatment environment. Executive rehab: These facilities often resemble those of luxury treatment facilities but they also cater to business executives and those in high-powered or demanding careers. Patients in an executive rehab generally have access to private phones and high-speed internet so their professional lives are not interrupted while recovering from a crack cocaine addiction. 12-step programs: 12-step programs are a popular choice for those in recovery. Cocaine Anonymous and Narcotics Anonymous are two global 12-step programs suited for those with crack cocaine addiction. These programs provide peer support in addiction recovery by following the traditional 12 steps established by Alcoholics Anonymous. Non-12-step programs: Secular support groups can be beneficial for people struggling with cocaine addiction and abuse. Some popular programs include SMART Recovery and LifeRing Secular Recovery. Each form of addiction treatment has its own strengths and weaknesses. What works for one person may not work for another. Collaborating with your detox treatment team can help you explore all of the options and choose the treatment program that is best suited for you. What works for one person may not work for another. Make a list of what is most important to you when selecting a treatment program so that you can find a program that is well aligned with your unique beliefs, values, philosophies, and treatment needs. NYC Health. (2016). Cocaine Abuse and Addiction. Substance Abuse and Mental Health Services Administration. (2015). Substance Use Disorders. Tennessee Department of Mental Health and Substance Abuse Services. Warning Signs of Drug Abuse. U.S. National Library of Medicine. (2015). Cocaine Withdrawal. Substance Abuse and Mental Health Services Administration. (2006). Quick Guide for Clinicians: Detoxification and Substance Abuse Treatment. Gorelick, D. (2017). Cocaine use disorder in adults: Epidemiology, pharmacology, clinical manifestations, medical consequences, and diagnosis. Morrison, J. (2014). DSM-5 made easy: The clinician’s guide to diagnosis. New York: Guilford Publications. Palamar, J.J., Davies, S., Ompad, D.C., Cleland, C.M., & Weitzman, M. (2015). Powder Cocaine and Crack Use in the United States: An Examination of Risk for Arrest and Socioeconomic Disparities in Use. Drug and alcohol dependence, 149: 108-116. National Institute on Drug Abuse. (2015). Nationwide Trends. How Do I Know If I'm Addicted? What Are the Effects of Cocaine on the Brain?